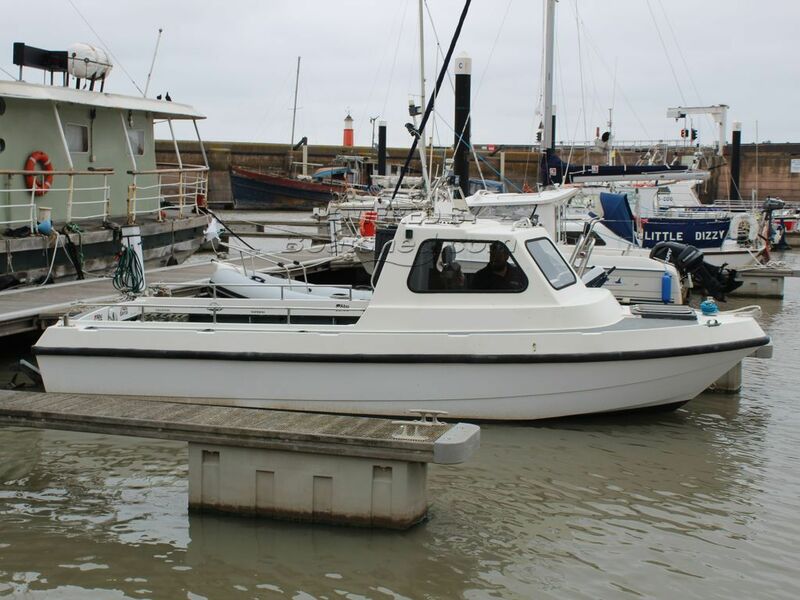 This superb and well organised boat offers plenty of deck space and shelter and is the ideal medium range fishing boat. Great visibility and a sturdy hull with a well thought out interior. The boat looks in good condition and includes all the fishing equipment, lifejackets etc shown. On the deck you will find numerous rod holders and storage, and enough space to land a monster! The current owner has loads of manuals and receipts going back years (All very neatly presented). The good size inboard engine should mean you have no trouble with distance or tide. This Pirate Boats 21 Cabin has been personally photographed and viewed by Oliver Yates of Boatshed Bristol. Click here for contact details.